Katie is the Vice President of Marketing at Hireology, responsible for developing the marketing playbook to build brand awareness for our revolutionary hiring platform. In this role, she leads a team focused on developing the go-to-market strategy and demand generation program to drive new sales leads and nurture existing prospects. Katie is an accomplished B2B marketing leader with over a decade of experience driving demand for solutions that empower others to build better teams. 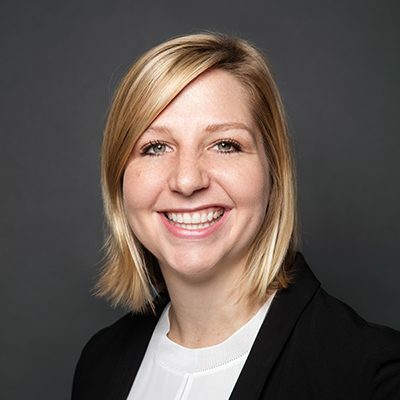 Katie was previously Director of Marketing at ShopperTrak, a retail analytics company, and Director of Corporate Marketing at CareerBuilder, a human capital software company. Katie has a Bachelor’s degree in Business Administration from the University of Illinois at Urbana-Champaign and a Master’s degree in Mathematics from DePaul University. She lives in Oak Park with her husband, Len, and dog, Herbert.